Each month Riverview holds a 'Make Your Mark' Assembly. The purpose of this assembly is to recognize outstanding behaviors, actions, and goals met by our students, faculty and staff. Embracing challenge and sticking with it are actions that are intentionally taught at Riverview. We encourage Riverview Rams to be inspired by the success of others and 'magpie' ideas to create success for themselves. January class that shows they are not afraid to enter the Learning Pit: Mrs. Mathis/Mrs. Lacrua's Second Grade. I remember when I first heard the question. I was twenty-two years old, fresh out of college and newly married. When I heard students announce their parents age as thirty-five; I thought, wow, their parents are old! Pretty soon I was thirty-five, and I heard the question again. Wow, I thought. I’m the same age as their parents. I still hear the question. Wow, I think. I’m older than the parents. What happened? Where did time go? Teachers are Peter Pans in a way. It’s so easy to lose track of time. You forget that you’re getting older, because they’re always the same age. You teach in the same classroom year after year. You wear the same dress. You tell the same jokes. Everything is always the same. Then one day you are kicked into the reality that you are getting older when you receive a graduation announcement or a wedding invitation, or when the store cashier says, “Hi, Mrs. Killian. Remember me?” Ahhh...the circle of life. Riverview SEP Conferences will be held Wednesday, March 14th and Thursday, March 15th. SEP Conferences will be held Wednesday from 3:20 – 5:00 PM and Thursday from 3:20-8:00 PM. You will be getting an email from SignUpGenius. This email will allow you to visit the website, find your child’s teacher (s), and sign-up for the time that is most convenient to your individual schedule. Parents, if you find a need to change your appointment the day of conferences, please contact the teacher so he/she is aware of the change. Thank you. 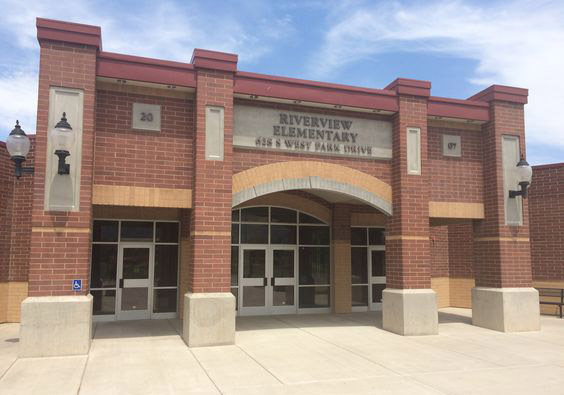 As a fellow parent of children at Riverview Elementary I am reaching out to you to ask for your help! The end of the school year is quickly approaching, and the PTA is preparing to host this years PTA Carnival on Monday, April 30th. The Carnival was a great success last year and we are anticipating much success this year! To ensure the success of the Carnival we need YOUR help. The following three areas are the areas where we need immediate assistance. 1. Activities Committee Chair (committee members will be needed too, but the Chair is crucial) This committee will take the lead of the activities component of the Carnival. We have potential vendors identified already. We need your help making the carnival FUN. 2. Food Committee Chair (committee members will be needed too, but the Chair is crucial) This committee will oversee the food component of the Carnival by determining what will be served, as well as overseeing the preparation and distribution of food items. 3. Marketing Committee Chair (a committee member has volunteered, but the Chair is crucial) This committee will assist in providing already created materials to teachers and parents through print media and social media. 4. Ticket Committee Chair (committee members have already volunteered) This committee will oversee the presale of tickets, distribution of tickets, and ticketing at the event. 5. Donations Committee Members (a volunteer is already chairing this committee) This committee will assist in contacting businesses to seek donations for silent auction baskets, prizes and food. Materials are already created to assist with asking for donations. If you know individuals who manage or own local businesses and would be willing to ask them for a donation to the school, please let us know immediately! We will provide tax receipts to businesses. If you have an item or skill that could be added to a gift basket that you are willing to donate, please let us know immediately. Or other activities that you have access to – let us know what they are! To ensure the Carnival is a success it requires MANY volunteers. We will have a variety of volunteer needs and shifts, so if you will have some availability on April 30th and are willing to help out – please let us know immediately. I am excited for the opportunity to continue to help our school develop and provide outstanding opportunities to our children. Your consideration and support of the Carnival by volunteering, donating to, and attending, is greatly appreciated. If you have any questions or would like to assist in any of the ways described above, please contact me. Please continue to check the website for additional information. March 20th – Champions Challenge Rodeo @ 1:00 p.m.; SCC mtg. @ 3:30 p.m.
March 21st – Kindergarten Pre-Registration, 8:00 a.m. - 4:00 p.m.
March 30th – Make Your Mark Assembly @ 2:30 p.m. Deadline to order yearbooks is April 9th. Order forms are in the front office or they can be ordered online also.